Well with Thanksgiving fast approaching it’s time to think of all that we have to be thankful for, all the blessings, all the many ways that God takes care of us. One of the ways he cares for us is through the kindness and generosity of others. My wife’s boss is one of those very thoughtful and generous people. Every year she has her office choose one patient whom they feel may benefit from a little help this year and they each bring something to provide them with a thanksgiving meal. This year my wife volunteered us (me) to bring a pie! What a great opportunity to use something I love to serve others! To keep things seasonal I decided to make a sweet potato pie. To start with, I made 2 double crusts last night. This gives me 4 single crusts and 1/4 the cleanup of making each one individually. I froze 3 to use sometime in the future and refrigerated the 4th to use today. I used the Basic Flaky Pie Pastry (p31) that I always use as it is consistently awesome! This one was even more awesome than usual. 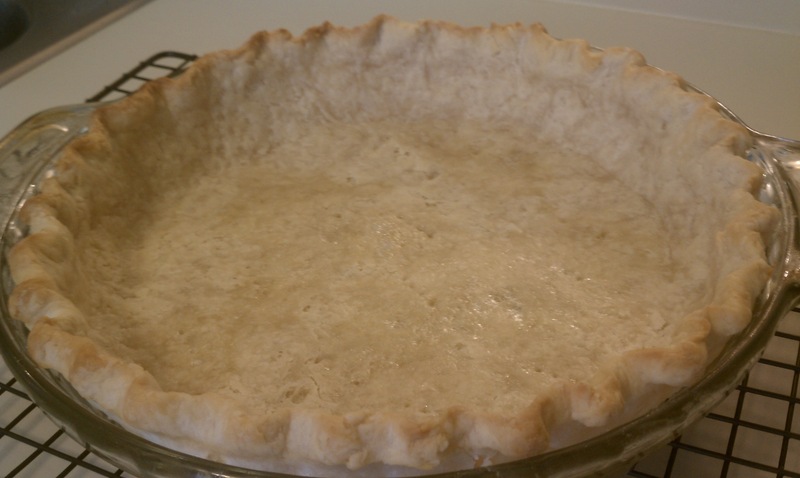 There is something beyond the recipe when it comes to making good pie crust that seems to come only with making a LOT of pie! 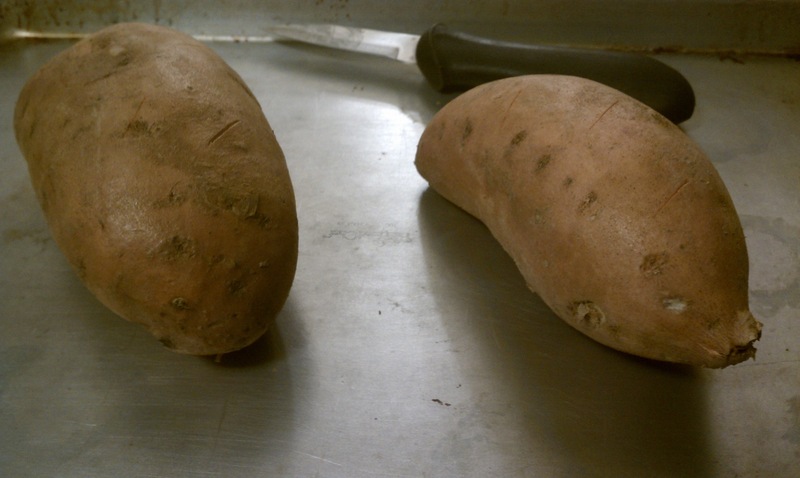 Last night I also baked two sweet potatoes and scooped out the insides so it would be ready to use today. 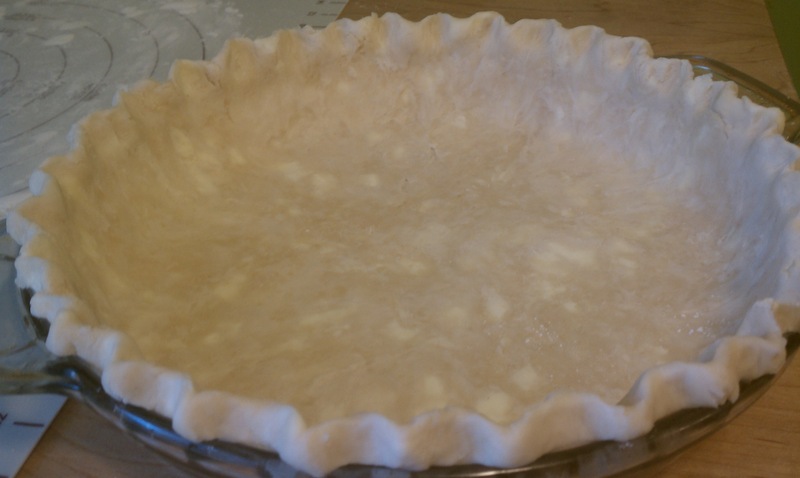 Then I made my pie crust and got started on the somewhat long and hopefully rewarding process of prebaking the crust. 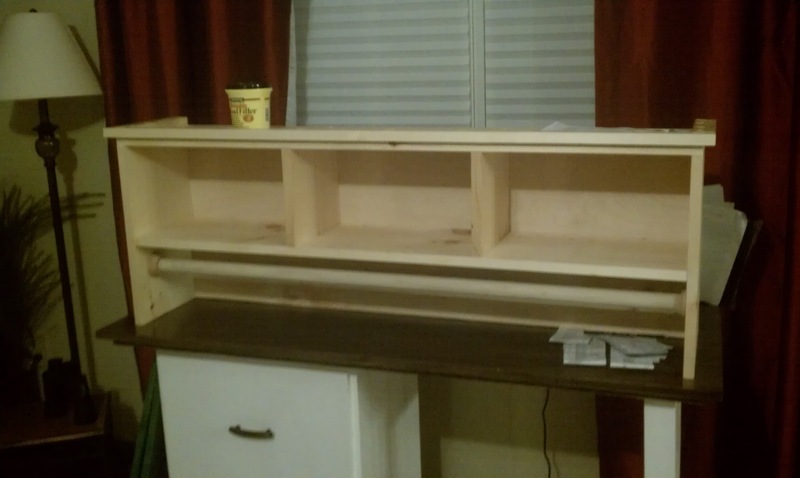 Here is the before…. I prepared all of my ingredients ahead of time so that they would all be ready when I needed them. Blended it all up. 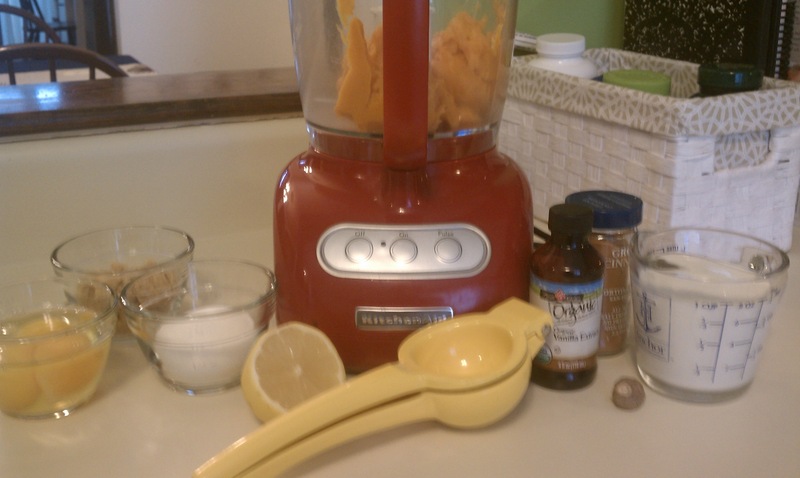 First I added the sugars , eggs and egg yolk to the sweet potato and blended until smooth and then I added the cream, vanilla, lemon juice, spices and salt and blended again until smooth…mmmmm, this smells great! 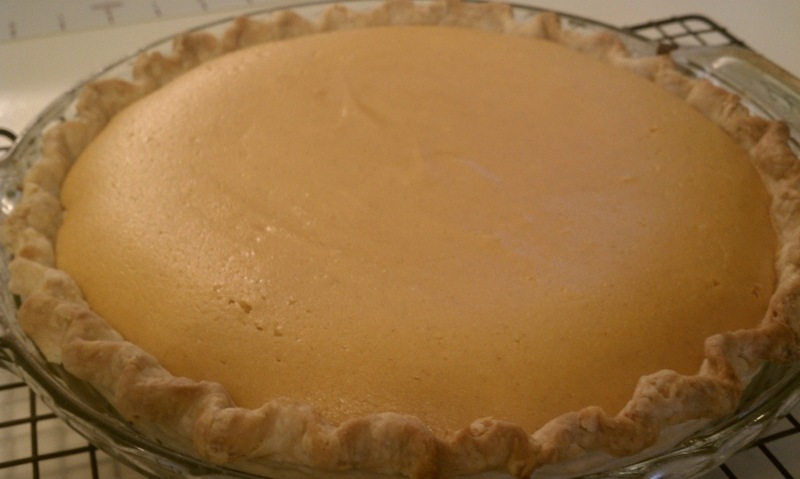 The author says that he didn’t add a lot of spices in order to make this pie not taste exactly like pumpkin pie as so many sweet potato pies do! As this pie is being given away this was the only chance I had to taste it! Delicious, not too overpowering in the spice department and I think the lemon juice adds some brightness. The nutmeg made me think of egg nog a little. Pour the filling in and bake for 30 minutes on the center rack then turn 180 degrees for about 1 minutes more until the edges are rising and the center is set. Cool on a wire rack. Difficulty/ Time – 2/5 a little time consuming due to making a pre-baked crust. Appearance – 4/5. Beauty of a pie. Taste -Unknown! I guess I’ll have to wait to hear the reviews! One interesting note was that once it cooled the pie could move 360 degrees in the pie pan. I guess we won’t have to worry about a stuck soggy bottom crust! Seems like the prebaking was probably worth the effort! I love pie. I love this book. 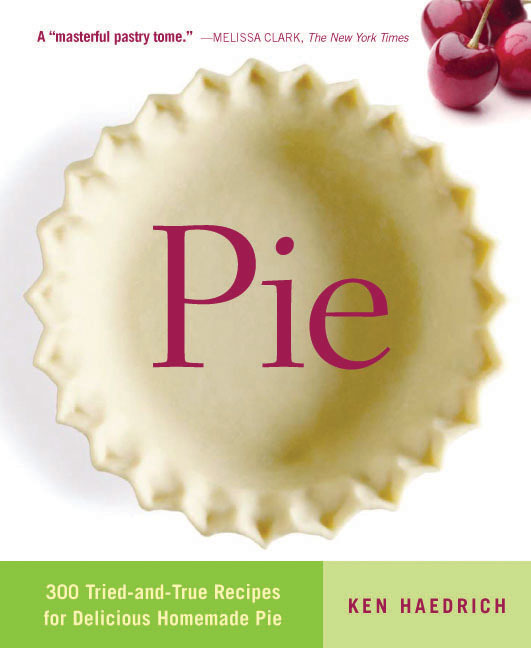 This book has a lot of pie in it…. like 300 different pies. Actually… exactly 300 different pies. I have made a few from it so far and have been really happy with every one (though I am not too picky when it comes to pie). 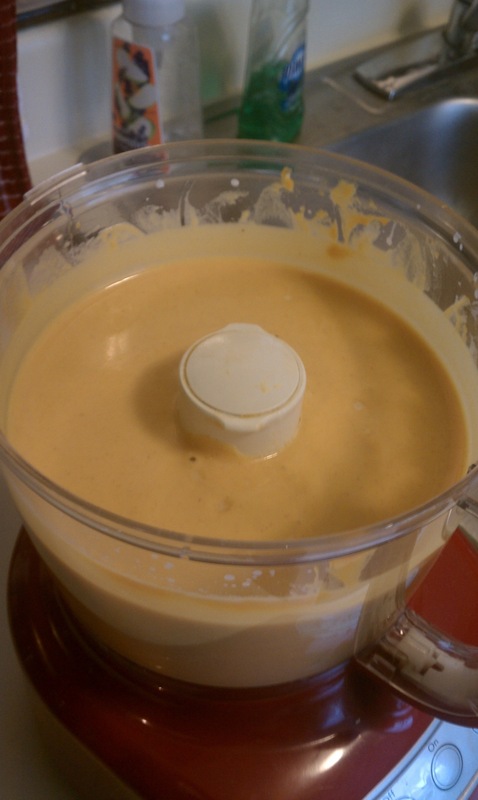 I would like to eventually make every pie in there and I figure, why not post about each one. Thanksgiving 2012…. here I come. An eye for a Pie makes everyone happy. Okay so today I looked at my friend Aaron’s blog and saw that it was good. In particular I love the way that he has cataloged all of the funny things that his two children say. I really want to do this. I want to have a way to remember and then look back and laugh. My memory is horrible and so I know that if I don’t write it down I won’t remember. That is a fact. I need to spend a little time on here getting the hang of how to set this site up to do the simple things I want it to do. So it begins.